We all know the story by now. Marty Langford's quite excellent documentary Doomed: The Untold Story of Roger Corman's The Fantastic Four spells it all out in exhaustive detail. If you haven't yet watched this incredible documentary, you really need to get on it fast as it's easily available on DVD and Blu Ray for a great price from a number of online retailers, and last I checked, it was also streaming on Hulu Plus. So really, you have no excuse. 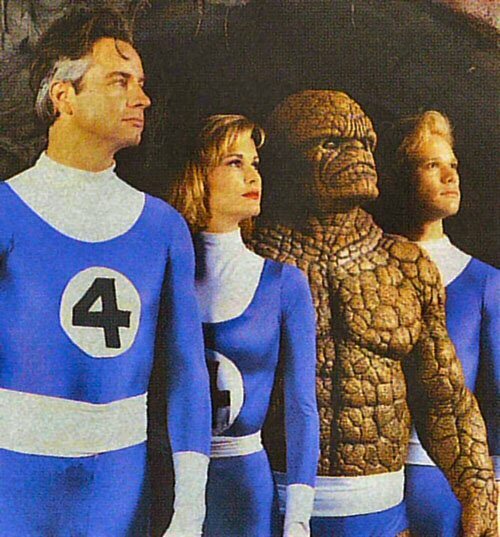 To this day, Roger Corman's infamous Fantastic Four movie from 1994 "still" has never gotten an official release in any form. Legend has it that the one we can easily find online illegally and on a number of bootleg DVD's comes from a VHS tape that was snuck out of the studio and that's the one that has given the world countless bootleg copies, all of deplorable quality. Seriously, each copy I've seen is nearly unwatchable but we watch it anyway because it's the only way we can. Though Avi Arad has repeatedly claimed that he burned the one existing master print of the film, most of us just simply do not believe that. Just in the same way Morgan Creek denied for years that they had no extra footage in their vaults of Nightbreed, only to find out that they really did, which resulted in the blockbuster release of the Nightbreed Directors Cut and the recent Cabal Cut Blu Ray's. The most fascinating aspect about this whole thing is that despite it's complete lack of budget, surprisingly, Roger Corman's ultra no-budget version is arguably the most faithful, most entertaining and most endearing version of this comic book adaptation ever produced. And this is taking into account the 3 later big budget attempts to bring it to the big screen, all resulting in lackluster performances and worse yet, terrible films in general. Despite it's budget, hilariously awful effects and the weird subplot involving a jewel-stealing leprechaun (?? ), the film succeeds in spades where the others failed. For starters, it's unintentionally campy, yet highly entertaining. 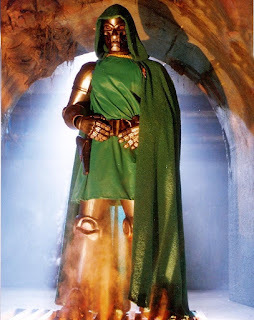 Every actor gives it their all, despite all of the odds stacked against them, with Joseph Culp, here playing Victor Von Doom and then later Dr. Doom, walking away with the most memorable role in his unusually hammy performance, which literally steals the show. 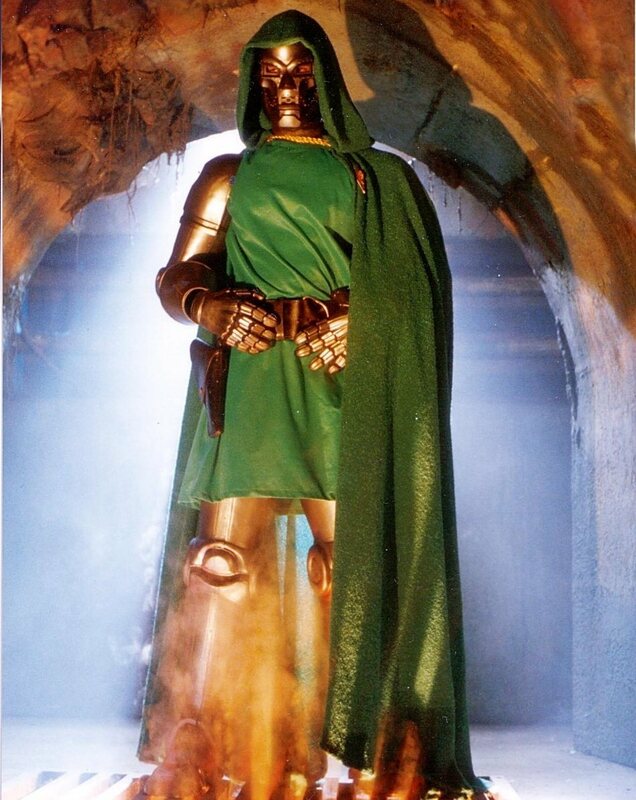 It's hilarious and amazing all at the same time, and better yet, this version of Dr. Doom looks like he literally stepped right out of the comic books and is to date, the best representation of that character on film. Yet still, we have never gotten an official release of this film for going on 23 years now. Doomed director Marty Langford is taking those responsible to task by petitioning Marvel Studios, 20th Century Fox and Constantin Films (the 3 entities involved in ownership of the film) to allow this film to finally get a legitimate release for those fans (myself included) who have waited decades for that day to come. Follow the links below to head on over to the official change.org petition page and please sign it, share it and help do your part to hopefully get this to see the light of day at some point. If you don't really know all that much about this film, it's troubled production and why it never got released, then do yourself a favor and check out Marty Langford's excellent Doomed: The Untold Story of Roger Corman's Fantastic Four. Here's the trailer for your enjoyment.